Learning to use language in order to complete source-based writing tasks is a challenge for middle grade writers worthy of additional study, especially given that these tasks are increasingly common in classrooms. Here, we examined the contribution of receptive and productive cross-disciplinary academic language skills to the writing quality of middle graders’ science summaries, after accounting for students’ sociodemographic characteristics, their comprehension of the science source text, and general summary features (i.e., length and copy ratio). Our results suggest that the ability to produce a high-quality science summary is predominately driven by the writers’ receptive academic language proficiency, comprehension of the source text and productive academic language used when writing, including text length. We contend that these results are illuminating because of the joint examination of students’ productive and receptive academic language skills. In addition, this study attempts to unpack the relation between summary length and quality, identifying levels of receptive academic language skills as an important moderator. 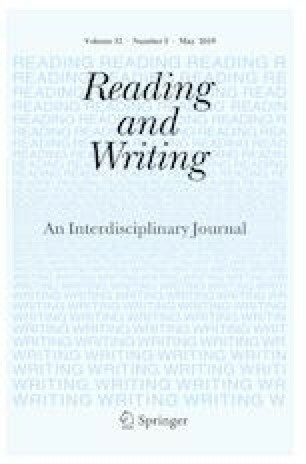 These findings have the potential to advance the current understanding of malleable factors associated with science writing proficiency, as well as with those associated with source-based writing more generally. The research reported here was supported by the Institute of Education Sciences (Grant No. R305A170185), US Department of Education, which was awarded to Paola Uccelli (Principal Investigator, Harvard University), Christopher D. Barr (Co-Principal Investigator, Rice University), and Emily Phillips Galloway (Co-Principal Investigator, Vanderbilt University). The opinions expressed are those of the authors and do not represent the views of the Institute or the US Department of Education. We express our gratitude to the students and teachers who shared their valuable time and insights with us and to our numerous colleagues for their helpful comments as we conducted this work. In addition, we thank the editors of this special issue and the reviewers whose feedback improved this manuscript. Kyle, K. (2016). Measuring syntactic development in L2 writing: Fine grained indices of syntactic complexity and usage-based indices of syntactic sophistication (Doctoral Dissertation). Retrieved from http://scholarworks.gsu.edu/alesl_diss/35. Accessed 24 Mar 2017.